Miami is a beautiful place to sight see or just kick back and relax with friends and family. Its parks are some of the most beautiful in the Sunshine State and paired with Miami’s great weather, the parks are undeniably perfect. Check out the city’s best spots below. 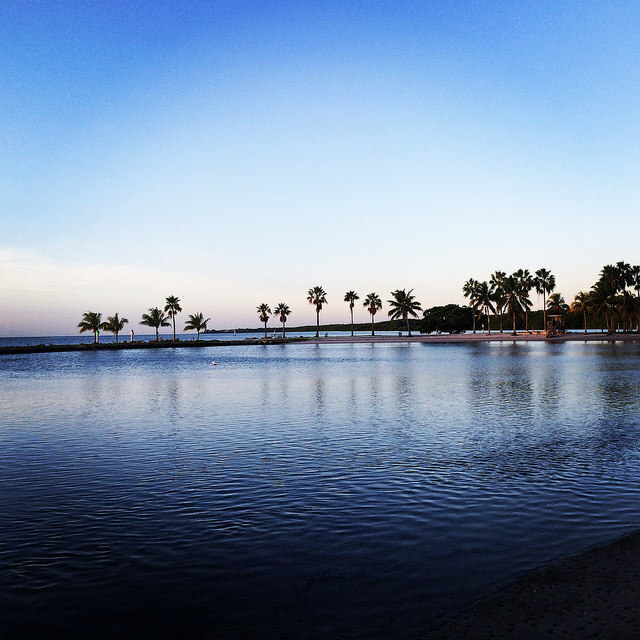 Matheson Hammock Park is a 630-acre urban oasis in metropolitan Miami, surrounding the stunning Fairchild Tropical Botanic Garden. Have a picnic in the park that William J. Matheson and his son Hugh donated to Dade county in 1930. This historical park is maintained beautifully and is located near the marina, making it a prime spot for keen kiteboarders, plus anyone who wants to try their hand at kayaking, paddle boarding and sailing. Biscayne National Park is located in south Florida and preserves the Biscayne Bay and its offshore barrier reefs. Here lies more than 10,000 years worth of human history from shipwrecks and pirates to presidents and pineapple farmers alike. With 95 per cent of it under water, it is the largest marine park in the national system. As such, it is the perfect place for outdoor lovers to snorkel, boat, camp, and watch wildlife. The less adventurous can instead grab a chair, sit out, and observe the beauty of Biscayne Bay and all of its spectacular views. This beach-front open space park is perfect for those with dogs and children; it’s quieter than some with plenty of greenery to enjoy. North Shore Open Space Park is a favourite spot among the locals with a great sense of community spirit. Enjoy lunch at the picnic tables or barbecue on the grills – it’s the ideal family-friendly park. Bayfront Park is a 32-acre urban park in downtown Miami, and it is a gift that keeps on giving. In the 1980s it underwent a major redesign by Japanese-American modernist artist and landscape architect, Isamu Noguchi. The highlight is the amphitheater, which holds several events and concerts every year. Enjoy a yoga class, bootcamp, trapeze lessons and more at this one-of-a-kind park. The Everglades National Park protects the southern 20 per cent of the everglades. This landscape is unparalleled and provides essential habitats for endangered and indigenous Floridian animals such as the manatee and Florida panther. The park stands over 1.5 million acres, making the options endless when you plan your visit. Go kayaking, camping, hiking, or sightseeing at this amazing national park and you will not regret it. It is truly a life-changing and once-in-a-lifetime experience.